Boutique computer maker Maingear is getting ready for the end-of-year holiday season, rolling out Super Stock Options for its high-end Shift desktop gaming rig. Although the Shift itself isn’t new, Maingear has amped up the extreme configuration options eager gamers can get with the system—including an Intel Core i7 980 Extreme Edition processor overclocked to a whopping 4.5 GHz. 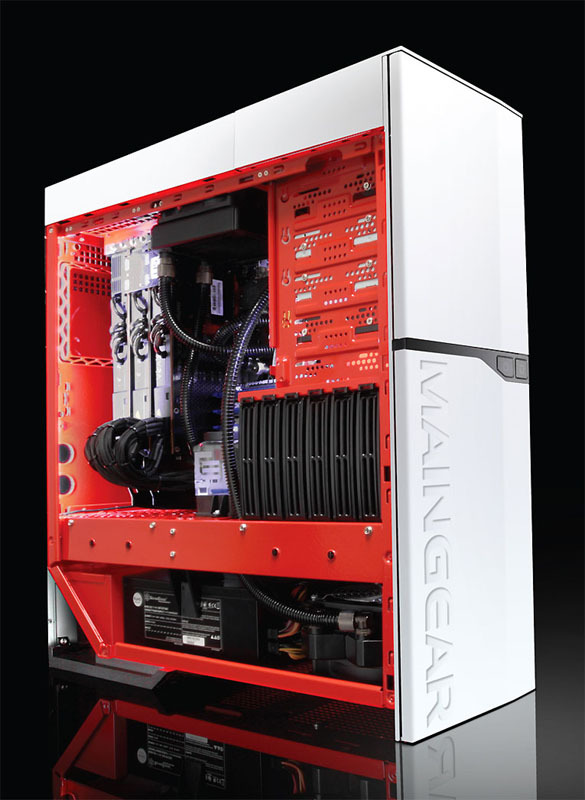 And the new options aren’t just on the inside: Maingear is also offering almost 200 color combinations for the case. Among the high-end computing options now available with the Shift are 3-way Nvidia SLI GeForce GTX 480 video cards (cranking up available video memory to a stunning 4.5 GB), the Maingear LiquidX 2700 and 2900 Supercooler packages (featuring a handbuilt dye-free water cooling loop), acoustic dampening to keep sound down, a 1.5kW Silverstone Strider module power supply, and upgraded 180mm, 1,300 rpm fans. The Shifts also feature three front-mounted hot-swappable drive bays for easy storage management. And, of course, there are the Redline CPU overclocking upgrades: while 4.5 GHz Intel Core i7 processors are available, some less speedy (and less spendy) options will also be available. 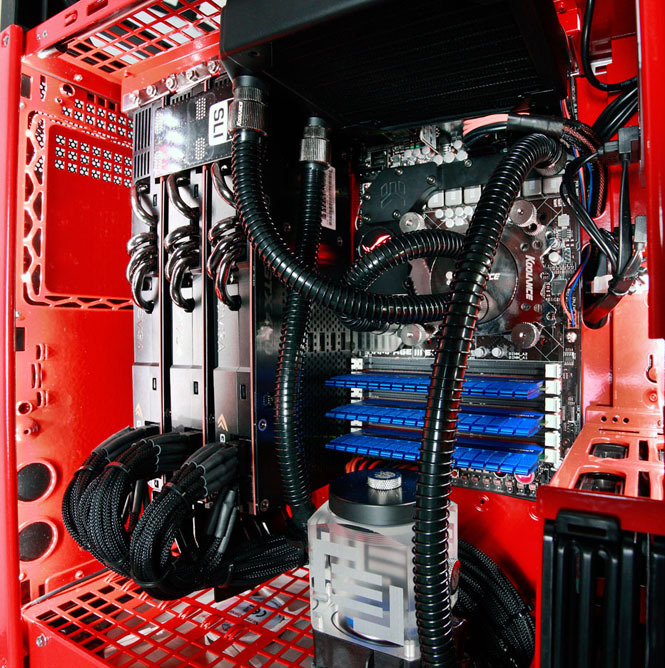 Folks concerned about the looks of their monster gaming rigs will be pleased to know Maingear offers the systems in almost 200 color combinations, with high-gloss auto paint available for both the external and internal chassis—and Maingear can even match internal LED lighting to the interior and exterior colors. The Maingear Shift systems have a starting price of $2,299…but, of course, the more Super Stock Options you add, the higher the price gets.